The casual visitor to Hawaii may be surprised to learn that a number of French chefs have been reimagining the islands’ cuisine by incorporating a variety of ingredients and culinary techniques that are traditionally associated with France. 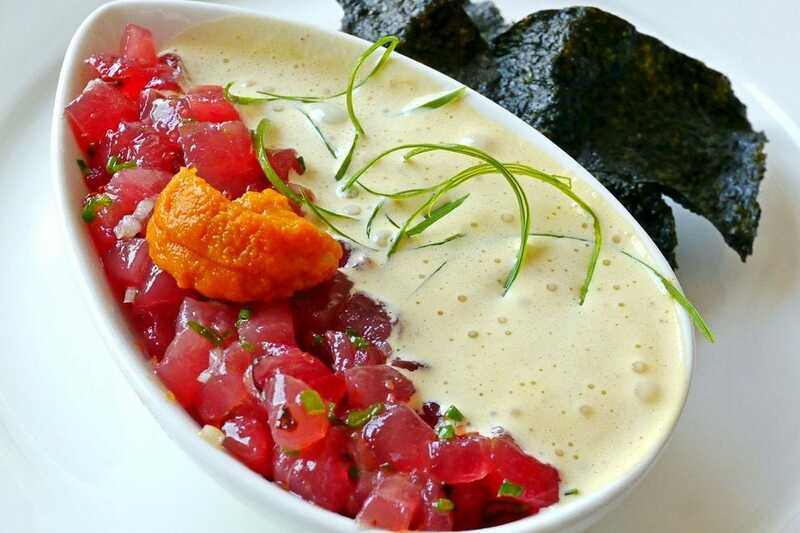 This blending of distinct cooking styles has resulted in the creation of some delectable specialties that speak “aloha” with a French accent, ranging from fresh seafood dishes to inventive and delectable pastries. Originally from Marseilles, France, chef George Mavrothalassitis is a James Beard award winner and the proprietor of the renowned eponymous Honolulu restaurant, Chef Mavro. An upscale establishment, it celebrated its 20th anniversary in 2018. With a menu that features seasonal French Hawaiian fusion accompanied by an exceptional wine list, Chef Mavro serves beautifully plated artful specialties with nuanced, complex flavors.